On Wednesdays only, get four 60-minute jump passes, a whole pizza, and unlimited drinks with our Family Fun Pass! It's an $80 value for the low price of only $50. Additional jumpers are just $12. This offer is not available for purchase online. Walk-ins only. It's the best deal going! Jump for only $1.17 per day! Or grab the 90-Day Pass to jump for less than $0.50 per day! It's the best deal going! Jump for just $0.50 per day! At Sky Zone we feel strongly about giving back to the community that supports us. We do that in a variety of ways. We love giving donations to good causes around town, in-park Fundraisers, and more (we generally do not do advertisements or sponsorships). We prefer opportunities to directly engage with the Greater Richmond Metro area in ways that help promote awesome, healthy, fun lifestyles for kids with an emphasis on fitness and fun. If you would like to request a donation for your upcoming event, we have partnered with a company called Serving Up Change to process all of our donation and fundraiser requests. 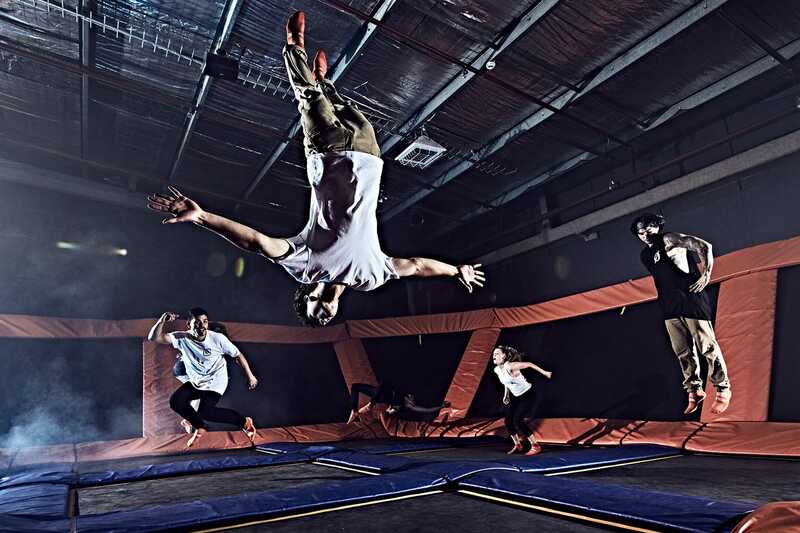 You can find our page here: https://servingupchange.com/businesses/sky-zone-richmond. Just click the link, register an account, and submit your request there. Requests may take up to 7 business days to respond. Unfortunately, of course, we cannot say yes to all requests, but please reach out and see if Sky Zone can help your upcoming event. Please note that we receive many requests, and we want to respond positively to as many as we can, but please understand that our donation funds are limited.